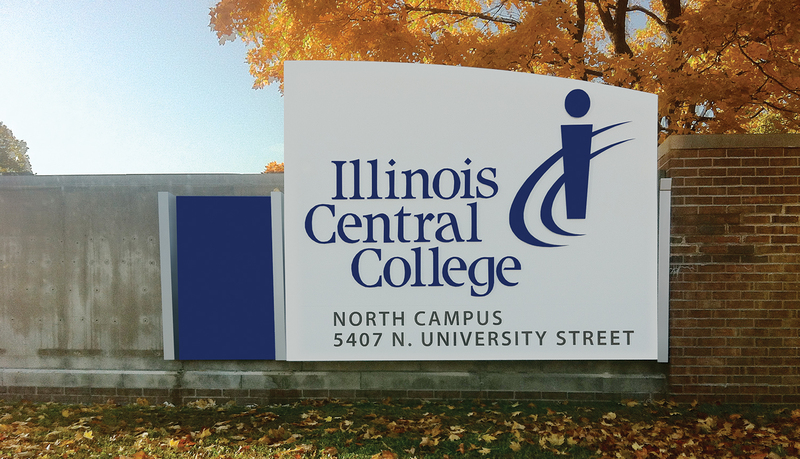 In recent years, Illinois Central College (ICC) has expanded to four campuses in the Peoria, Illinois area and also launched a new logo & brand identity program. 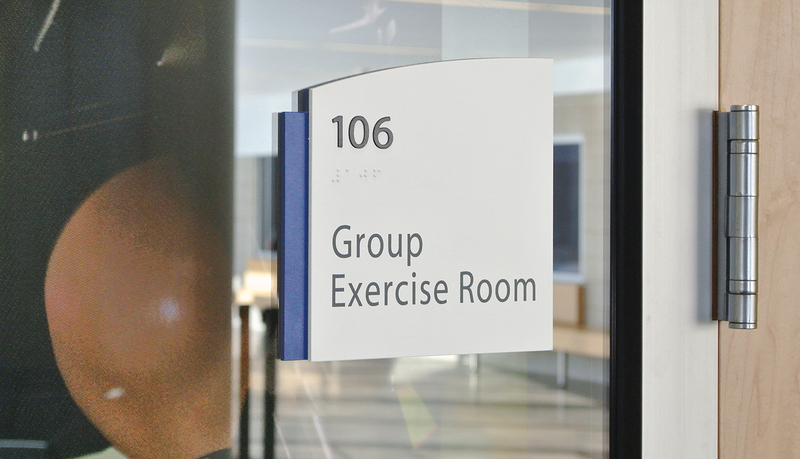 Their signage systems, however, had not changed, making them look outdated and mismatched. 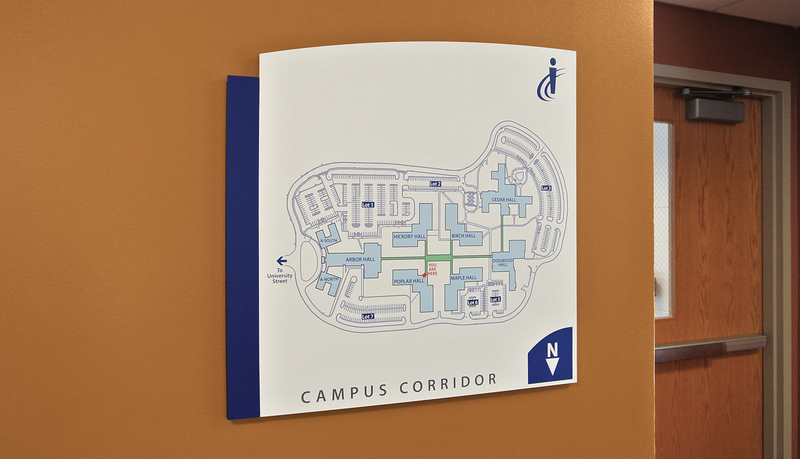 In addition to the brand identity update, ICC needed to improve their exterior and interior wayfinding at the East Peoria and North Campuses. 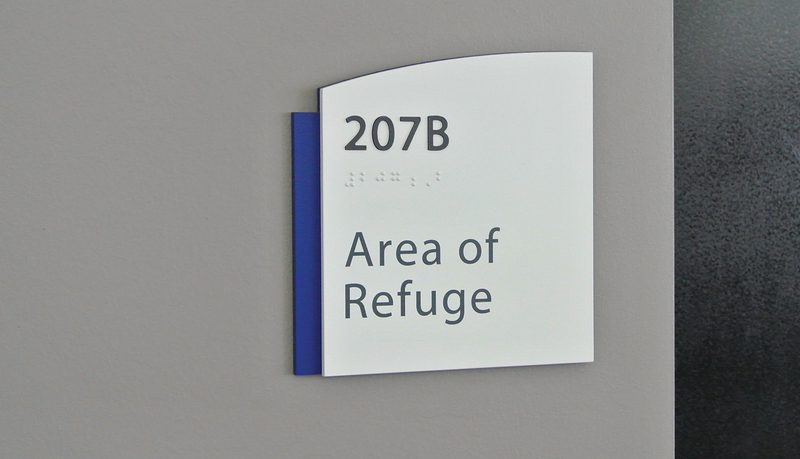 ICC hired ASI, Chicago to design new interior and exterior signage standards and develop exterior and interior wayfinding programs. 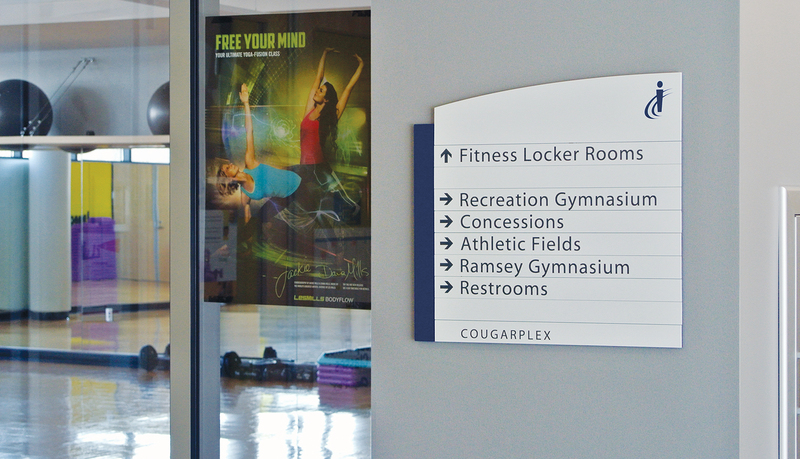 ASI, Chicago partnered with Dan VanWoert, Environmental Graphic Designer, to assist with these services. 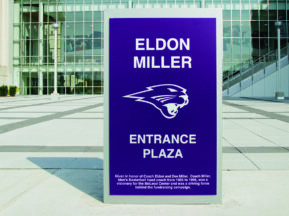 The exterior product solutions consisted of custom aluminum signage and LED Message Centers. 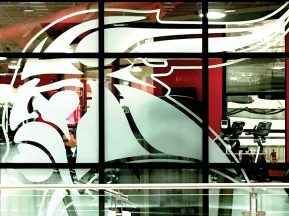 This product solution enhances ICC’s commitment to a sustainable environment while still being a highly functional solution for an ever-changing facility. 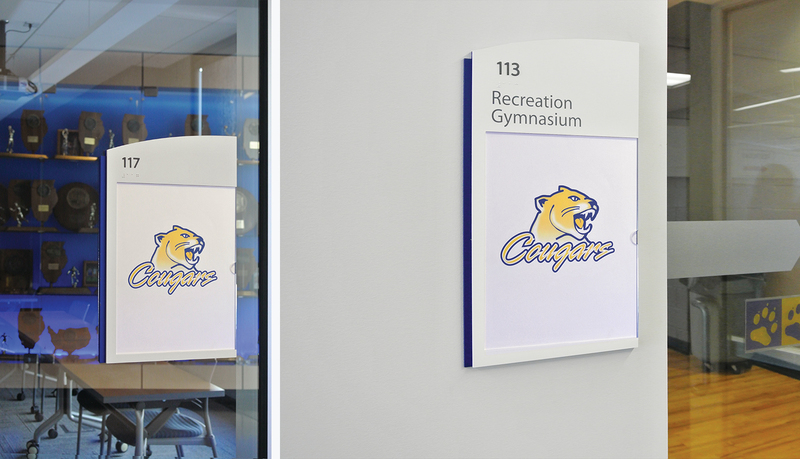 The design incorporated school graphic standards and design elements that gave the signs a modern, fresh look. 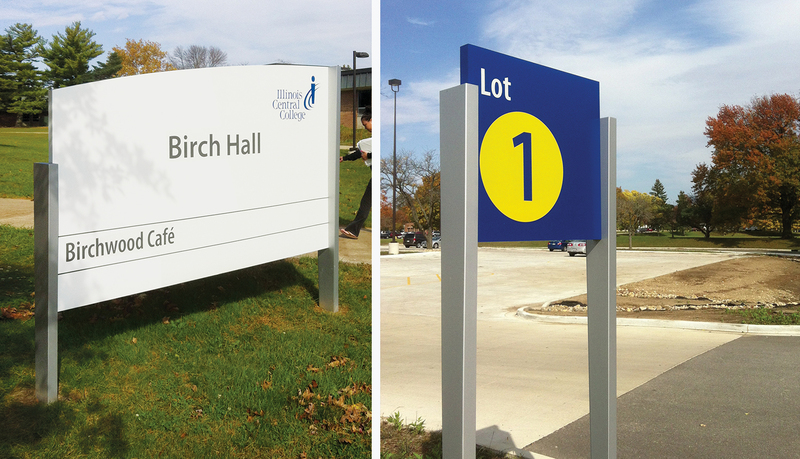 ICC wanted to retain existing masonry monument signs using new faces to compliment the new signage system. 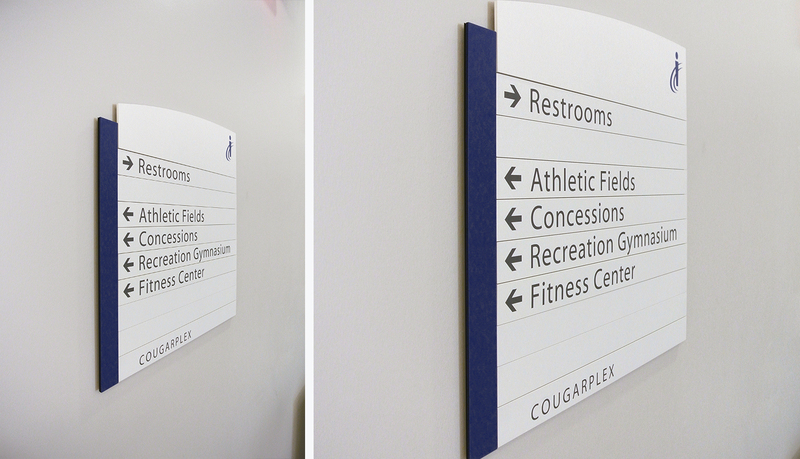 For the interior, ICC was interested in sign modularity to facilitate updates. 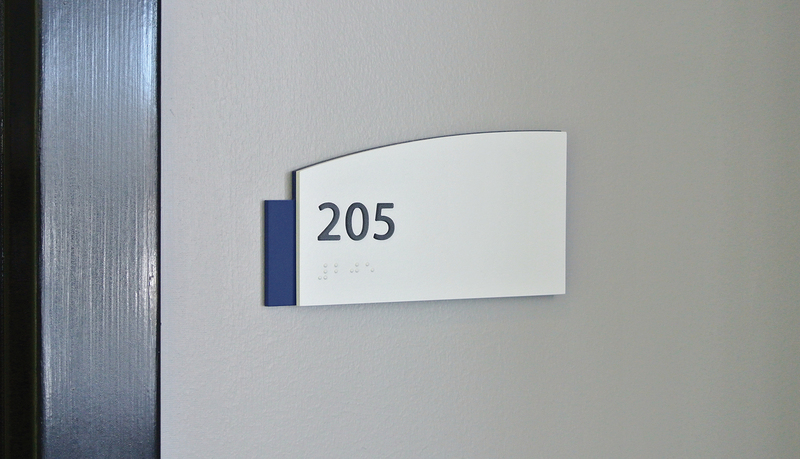 Interior signs incorporated Infinity components to facility maintenance of the system. As in all school applications, the design needed to be tamper resistant. 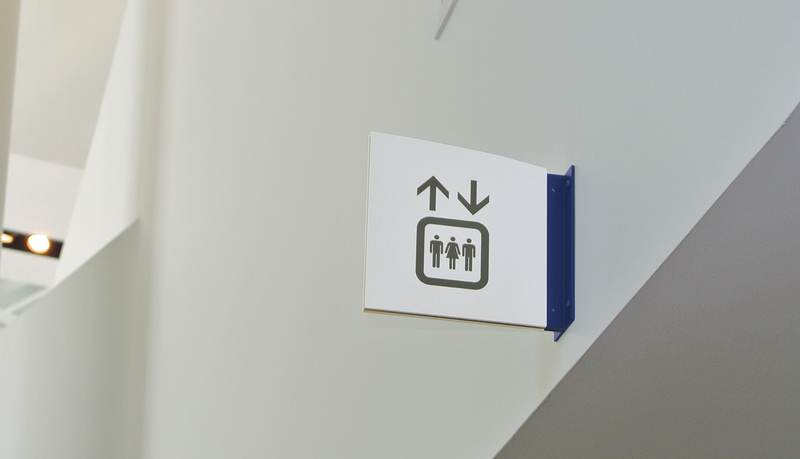 ICC also has many green initiatives and welcomed the use of a green interior sign solution, InTac™ Eco. 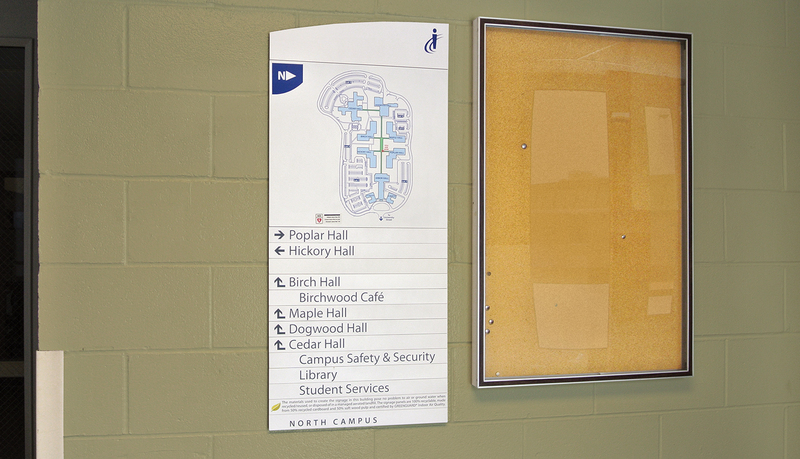 ASI provided planning services for both Peoria campuses. 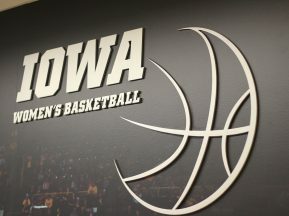 For both campuses, the exterior signs directed to buildings and parking along a loop road, messages geared toward first-time visitors. 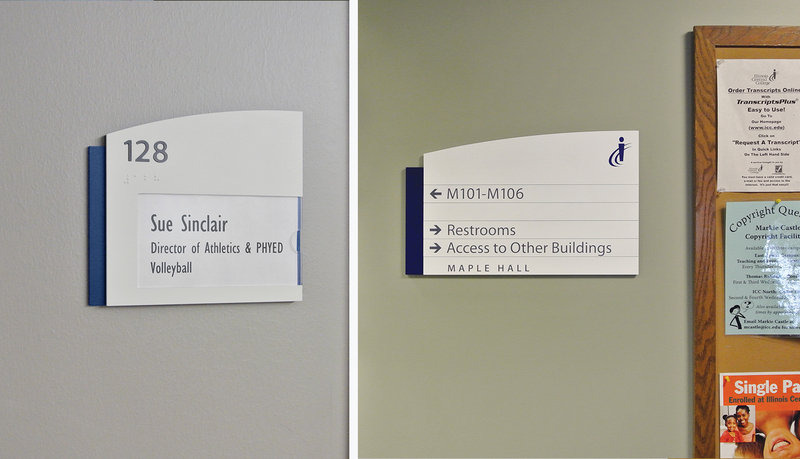 The challenges on the East Campus were clearly identifying buildings. 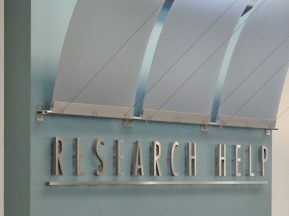 The North Campus has seven separate buildings attached by connector hallways. 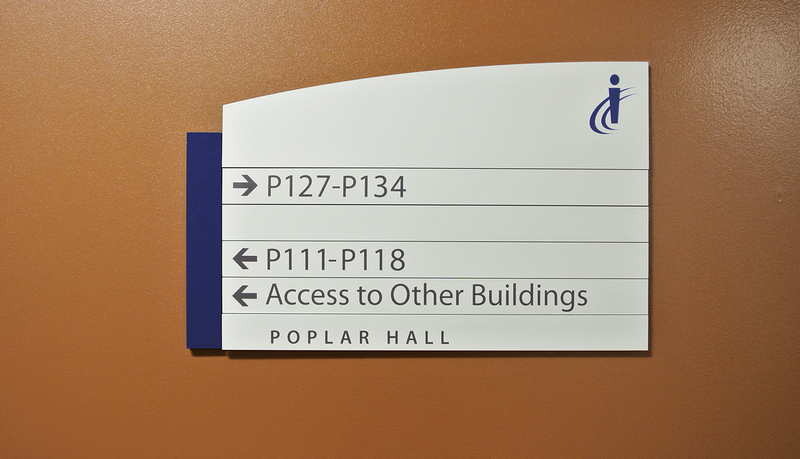 The new interior sign system created a main street where building identification was enhanced; supported by directional and map signs with a unifying look.